All the buzz about Pandemic convinced me to order a copy of this co-op gem. I strongly recommend anyone who hasn’t done yet to surf the reviews – it’s really that good! Nevertheless, some minor quibbles remained: Too small gameboard, or missing flavour due to little wooden cubes (AT’s beware!) & no-name-deseases. So, to talk my miniatures group into playing it, I decided to re-theme the whole thing and make the board bigger. Does this guy become the Medic role then? That is so awesome. A much better theme than the original. I think the theme of the original game is one of its strongest components. It's so unlike anything else that's available. Perhaps by "better theme" Jason simply meant more solid theme throughout, with the use of zombie minis and naming the plagues. Certainly zombie figs have more theme than colored wood cubes, which is not to say the overall Zombie theme is better or not, just that this version have more lending itself to said theme. You should upload some of the files you used. I agree. I definitely didn't re-theme Pandemic due to a weak theme, but to get interest from players that generally tend to avoid co-op games. Would love to, but there is still the copyright issue - I mean, recreating the whole board? Besides, it's all in German. he'll do a Zombie addition. I'll probably see him at a con in Nov and I'll ask him if he's seen it. I wish someone would start a small company that just sold game pimping/retheming kits. I voiced an opinion. Everybody's got one, mine isn't any better than yours. That said, I would rather play this game where we are trying to stop the spread of zombie outbreaks instead of fighting viruses. To me, the original game is kinda ugly and while I did enjoy playing it the one time I had a chance, I'd be jumping up and down to get my hands on a copy of Zombie Squad. I haven't played many of the other Zombie games, but the ones I have played had mediocre gameplay, which isn't the case here. I can't speak for Jason, but in my opinion a good theme is one I can either joke about or pseudo-roleplay. The zombie theme is great because I can do both. 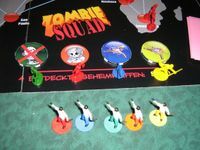 As an example, let's say Jason and I are playing a game of Zombie Squad. We each get into it, spouting cheesy one-liners whenever appropriate. We laugh it up. A good time is had, not just because of the fun of the gameplay, but because we enjoyed the theme to the fullest extent. Next, we play normal Pandemic. We still have fun, but we don't exhibit as much socially; we're intent on the gameplay only. The theme doesn't really effect how we treat the game. Fighting diseases is a unique theme, but it doesn't lend itself to additional social fun the way zombies do. Sure, we could joke around about the normal theme too, but rampant disease just isn't as funny as zombies. By adding zombies, we get additional fun on top of the purely intellectual fun of the gameplay. This is why I think zombies would make this a better game, why I generally prefer more Ameritrashy themes, and why I'm gonna echo the request for woodoo03 to post the files. So do I. I probably wouldn't invest in it myself though. Ladies and Gentlemen of the Board, I am pleased to announce our annual earnings this year come to $78.32 which represents a 300% increase over the previous two years combined! and why I'm gonna echo the request for woodoo03 to post the files. I guess I'll PM the publisher / BGG user Zman for admission. You have different colored zombies? Or did you wind up painting them yourself? All of the zombie figures I have from Twilight Creations are the same light grey color (hint: get your hands on ZombieTown, for yet another zombie figure pose!). I spraypainted them for better differentiation (was done in 10 mins). Thus, I could have used one Bag O' Zombies only. But for the more thematic feeling, I used 24 zombies from Zombies!! !, 24 zombie ladies from Bag O'Babes, 24 zombie dogs from Zombies4: The End and 24 skeletons from MidEvil. The zombie re-theme is AWESOME. As to whether we need another zombie-themed game, well, IMO Pandemic is a better game than any of the recent zombie-themed games, so the answer is yes. 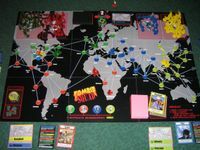 I added zombies to Pandemic simply as a kind of 5th 'super-disease'. I used zombie babes figures, and tacked on a few rules to make them start slower but multiply faster than a regular disease. It's pretty fun, and adds a bit of zombie spice to what is already a very, very good game. Boo, beat me 2 it. I was spray painting my minis this weekend. Good job great minds think alike. btw. 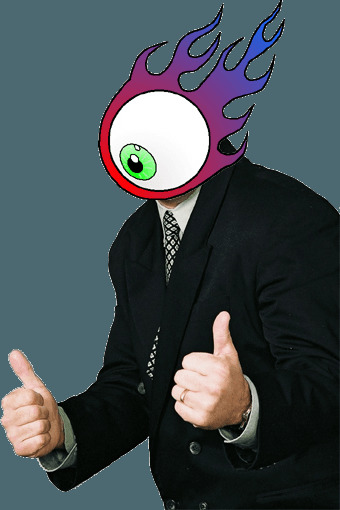 I'm happy to announce that Zev the publisher man is cool about posting some files. I must say I'm really impressed - he's really caring about his customers and obviously wants them to have the best experience possible. big thumbs up from me! so I'll translate the files back to English this weekend and post them asap. Key words here are "for you". If I'd have introduced this game to my wife "See honey, we travel around the world fighting zombies!" it would never have hit the table even once. Instead, with the medical theme, we're up near 40 plays. I thought that was an implicitly understood framework for these forum discussions. Your statement surprised me, so I asked the question. No offense was meant--sorry if any was taken.